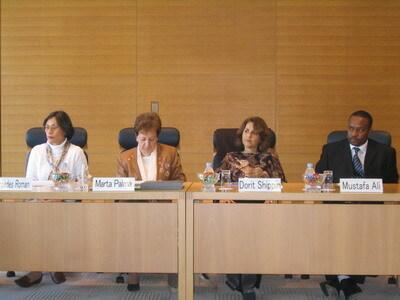 The GNRC Coordinators Meeting was held inJapanfrom 16 – 18 November 2006. The GNRC Third Forum expected to be held in 2008 dominated discussions at the meeting, in preparation for the Organizing Committee for the Third Forum soon to be established for preparation and planning of the Forum. 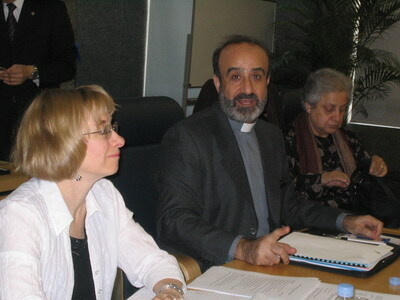 The Global Network of Religions for Children Coordinators held its third and last meeting this year in Tokyo, Japan from 16 – 18 November 2006. During the meeting which was held at the Myochikai Headquarters in Tokyo Japan, various issues including the GNRC Third Forum were discussed. An update on the developments of the GNRC and the Interfaith Council on Ethics Education for Children, including the regional chapters of the GNRC. Updates from the GNRC Latin America, GNRC Europe, GNRC Israel, GNRC Africa, GNRC Arab States and the GNRC Central Asia and the Caucasus were presented during the GNRC Coordinators meeting. The progress of the long awaited joint study with UNICEF of Children in the World’s Religions, was presented by Ms. Agneta Ucko. The ensuing discussions centered on the various deliberations around the study team and the GNRC Coordinators. The names of the Coordinator for the study, those who will serve in the advisory panel and the supervisors of the project were tabled in the meeting. A timeline for the study proposed to begin in January 2007 and end in December the same year was discussed. Other issues discussed and information availed on the joint study included the proposed methodology, members of the study team, nature of assignments and the process for undertaking the assignment. During the meeting, the Arigatou Foundation Child Protection Policy and a Code of Conduct to be used by all those involved in working with children within the GNRC Network and the Arigatou Foundation, was discussed with changes suggested. Other issues discussed included the GNRC Website and a new logo to be used by the GNRC Network. Rev. Keishi Miyamoto, the Representative of the Arigatou Foundation and Mr. Shozo Fujita, Secretary General of the Arigatou Foundation, were present at the meeting. The GNRC Secretary General Mr. Atsushi Iwasaki chaired the Coordinators meeting. The Coordinators present at the meeting included Rev. Prof. Qais Sadiq (GNRC Arab States), Ms. Marta Palma (GNRC Europe), Dr. Mustafa Ali (GNRC Africa), Ms. Razia Ismail Abbasi (GNRC Central Asia and the Caucasus), Ms. Mercedes Roman, (GNRC Latin America) and Ms. Dorit Shippin (GNRC Israel). Later, the GNRC Coordinators, GNRC Secretary General, GNRC Third Forum Organizing Committee Chairman Mr. Samuel Koo and Interfaith Council Committee Member who is also a member in the Third Forum Organizing Committee Ms. Meg Gardinier, Arigatou Foundation Secretary General Shozo Fujita and staff were led by Rev. 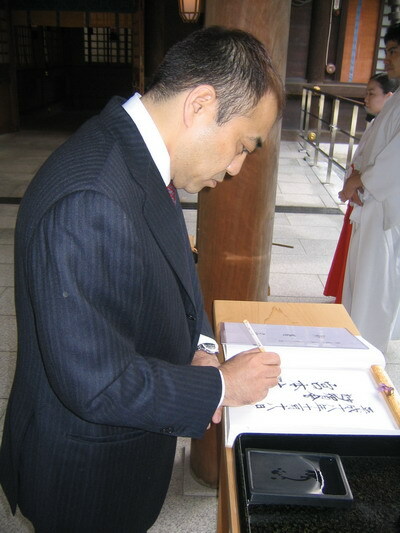 Keishi Miyamoto to visit the Meiji Shrine located in Tokyo. The Director of the Arigatou Foundation Office in Geneva Ms. Agneta Ucko, Ms. Masue Suzuki, Ms. Mayumi Nakatsutsumi - staff from the Arigatou Foundation office in Tokyo and Ms. Meg Gardinier were at the GNRC Coordinators meeting. The First and Second GNRC Coordinators meetings in 2006 were held in Geneva, Switzerland in January and in Kyoto, Japan in August, respectively.